my very own signed copy!! This is the list of books I have read since Boxing Day. A massive effort by me seeing as how in 2014 I managed to read 2 books. I have been switching off completely and losing myself in books. One of the benefits of being up all hours with late night partaying children is that I ended up ignoring them and getting stuck into my books!! I did the three John Grishams in a row. I really liked all of them except the ending of The Racketeer. It seemed a little rushed but was still a great ending. Then I started on Returning. 2It is written by the extremely talented Francesca from Francesca Writes Here. I really enjoyed it. I really really hope Ms Suters is working on a sequel and that someone buys the rights to the book to turn it into a movie!! I decided I can't say too much about it without giving bits away so you will just have to grab a copy and read for yourselves!! Next up I have a book I grabbed from our library's bargain rack called Glasgow Kiss which sounds like a good one!! Although I sense my reading time will be very limited in the next few weeks as we get right back into the swing of reality. Linking up with One Mother Hen for #openslather and My Home Truths for I Must Confess. So this is just a guess but you like John Grisham? I haven't read any of his new stuff but loved his old ones. 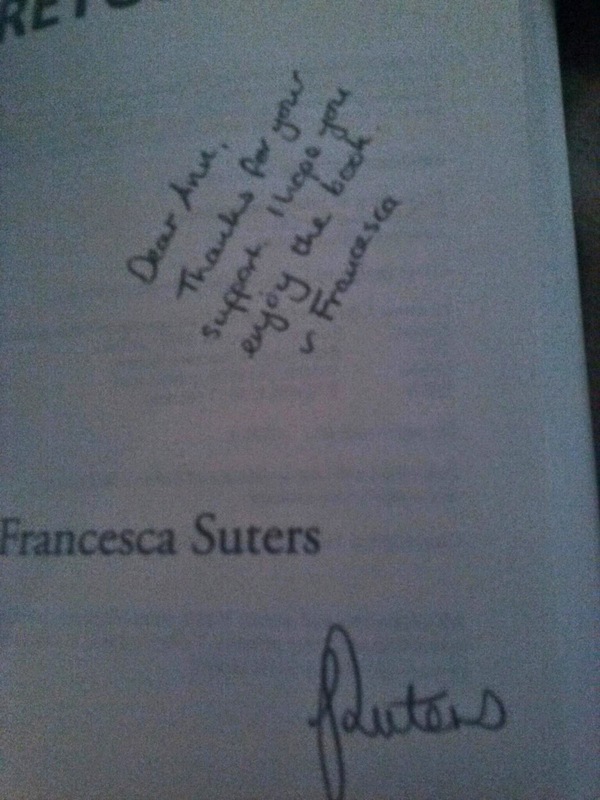 I hope Francesca is writing a sequel also, I want to know more also! I use to read one to two books a week. Last year and probably since starting the blog, I would be lucky to read that in a year. Determined this year to get back to reading more books but not entirely sure where to start. I didn't do a heap of reading over Christmas but I did when we went on holidays at the start of December. It's been raining this afternoon and it's the perfect weather to curl up with a book...if only I didn't have an offsider asking me questions every 5 minutes lol! Wowzers, that's an impressive list of books to have read in such a short time! I need to disconnect a lot more than I do and get back into reading, which I do love! I hope you get to read many more books this year Ann! That's a huge effort. I must keep my eye out for that last book. I'm always interested in other people's recommendations. I haven't sat down and read a whole book in ages, just dribs and drabs here and there. Returning is on my list though. It sounds good! Australia's proximity to Antarctica, where there is a hole ted baker outlet in the ozone layer which normally filters out UV rays, also increases the risk. Previous research suggested that the use of sunbeds by people aged 18 to 39 increases their risk of developing melanoma, cheap ted baker dresses the most common form of cancer among young Australians, by an average of 41 percent. The ban was supported by a majority of Australians, the council said, in a recent survey of 6,300 people,ted baker dresses sale while fewer adults and youths said they had used a solarium in the past year. Things I Know #45- Not much again! !